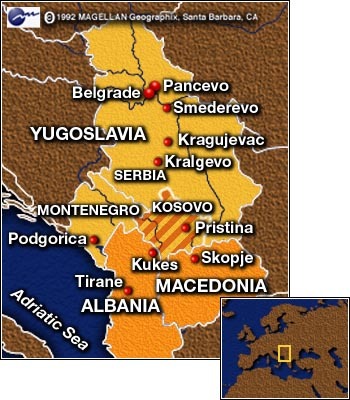 BELGRADE, Yugoslavia (CNN) -- Yugoslavia announced Thursday it had ended its offensive against ethnic Albanian rebels in Kosovo and that "peace has prevailed." NATO forces, however, showed no signs of diminishing their devastating airstrikes, as blasts resounded on the outskirts of Belgrade early Friday. Local television station Studio B reported attacks on suburbs east of the Yugoslav capital and on two areas hit in previous NATO strikes -- Pancevo, a city on the Danube River just northeast of Belgrade, and the town of Kragujevac, 60 miles to the southeast. Serbian television said a fuel depot in the town of Smederevo was also attacked. Several secondary explosions shook the area after the initial blast. In a statement Thursday, the Yugoslav government declared it had finished its "anti-terrorist" activities against the rebel Kosovo Liberation Army and urged refugees to return to their homes. "The Yugoslav government once again calls on all citizens of Kosovo not to leave their country, to live in harmony and cooperation, and in that way resist the bombs that kill regardless of nationality," the statement said. On Tuesday, Yugoslavia announced a unilateral cease-fire in honor of the Orthodox Easter holiday. There was no independent confirmation that fighting had stopped in Kosovo. Hundreds of thousands of Kosovo Albanians have fled to neighboring Albania, Macedonia and the Yugoslav republic of Montenegro. NATO Thursday expressed concern for the fate of thousands of Kosovars who were prevented from fleeing when Serb forces sealed the borders around the province. At the end of March, the United Nations estimated that there were about 260,000 displaced people in Kosovo. "We don't know what has happened to them, and I'm very, very worried," said U.N. High Commissioner for Refugees Sadako Ogata. Correspondent Mike Boettcher reported from the Albanian town of Kukes, near the Yugoslav border, that there were no refugees lined up to cross where tens of thousands had passed earlier in the week. 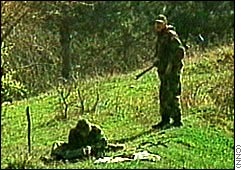 He said Serb soldiers could be seen laying what appeared to be land mines on the Yugoslav side of the border. 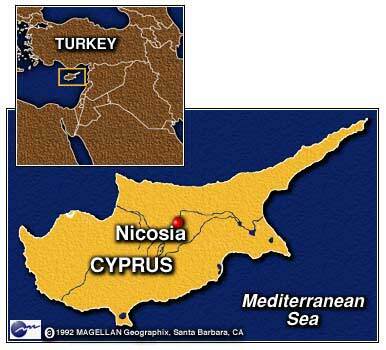 A high-ranking envoy from Cyprus arrived in Belgrade Thursday in an attempt to negotiate the release of three captured U.S. soldiers. Cypriot Parliament speaker Spyros Kyprianou, who is slated to meet with Yugoslav President Slobodan Milosevic on Friday, said he was optimistic about his mission. "I expect to have very friendly and constructive negotiations," he said. "I hope to have good discussions with President Milosevic on humanitarian aspects." But Yugoslav Vice Premier Vojislav Seselj told reporters that releasing the soldiers was "out of the question." 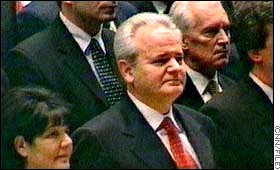 A Russian legislator who returned to Moscow after meeting with Milosevic also expressed doubts the Cypriot mission would succeed. He said reports the troops would be freed were "rumors" and that the three would be treated as "terrorists." NATO said Thursday that the effectiveness of its stepped-up bombing campaign against Serb military targets in Yugoslavia was increasing, but denied that its missiles were responsible for "widespread" civilian damage. 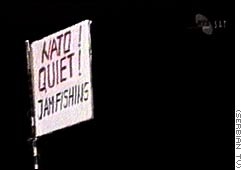 NATO also warned that Yugoslavia's state-run radio and television network could be one of its next targets. "It has filled the airwaves with hate and with lies over the years and especially now. It is therefore a legitimate target," NATO's military spokesman, Air Commodore David Wilby said. NATO sent more than 100 planes on bombing missions in the early hours of Thursday, hitting dozens of targets, including an ammunition production facility and Serb armored vehicles, Wilby said. 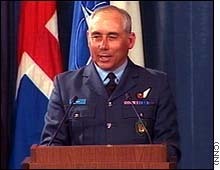 "Momentum (of the NATO bombing) is building with encouraging pace" and Serb forces are showing increasingly "defensive" postures, Wilby told a news conference at the alliance's headquarters in Brussels. "I can absolutely assure you that while NATO has attacked military targets around Pristina ... NATO has certainly not caused the reported widespread damage which we believe has been orchestrated by Serbian forces," Wilby added. "I'm sure that closer investigation will reveal the truth," he said. CNN's Brent Sadler was taken to Pristina, the provincial capital of Kosovo, by Serb authorities and reported damage to a postal and telecommunications building and other civilian areas. 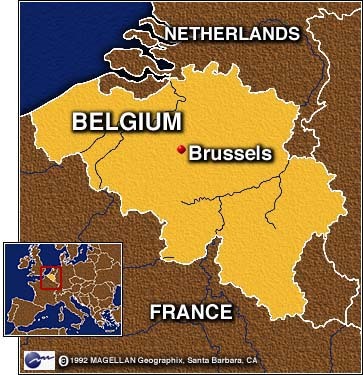 The authorities said 10 civilians died in NATO attacks. Serbian state television on Thursday reported explosions in the outskirts of Kraljevo, south of Belgrade, and said NATO attacks caused "big material damage, mostly to civilian houses." 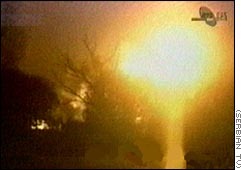 Yugoslav media also said residential areas were hit when missiles landed on Cuprija, in the south of the country. NATO announced Thursday that it will deploy about 8,000 troops from 14 nations to Albania as part of a new operation to help the hundreds of thousands of refugees from Kosovo. Operation Allied Harbor will provide "international support for the humanitarian effort in Albania," said Jamie Shea, NATO's civilian spokesman. A mobile headquarters will be set up to coordinate the operation, Shea said. Twenty-four U.S. Apache helicopters remained in Germany Thursday, ready for deployment to Albania for use in Kosovo. NATO's top commander, Gen. Wesley Clark, will determine when to call the Apaches into combat, said U.S. Defense Secretary William Cohen. The Pentagon said that NATO commanders may opt to use as many as 48 Apache helicopters in the Kosovo campaign. The helicopters are often referred to as "tank killers".